Spacewalk outside ISS: While the first spacewalk is scheduled for Friday, March 24, other two will be conducted on April 2 and April 7. Expedition 50 Commander Shane Kimbrough of NASA and Flight Engineer Thomas Pesquet of European Space Agency (ESA) will be the spacewalkers for first spacewalk. 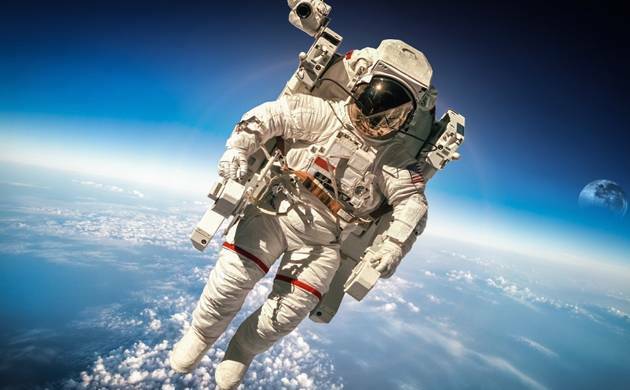 With an aim to upgrade the hardware of the International Space Station (ISS), US astronauts will carry out three spacewalks that would go on for 6.5 hours. The astronauts on board the ISS will also make arrangements for future commercial crew spacecraft by conducting the spacewalk. While the first spacewalk is scheduled for Friday, March 24, other two will be conducted on April 2 and April 7. Expedition 50 Commander Shane Kimbrough of NASA and Flight Engineer Thomas Pesquet of European Space Agency (ESA) will be the spacewalkers for first spacewalk. The second spacewalk will include Kimbrough and Flight Engineer Peggy Whitson of NASA. During the first spacewalk, the Pressurised Mating Adapter-3 (PMA-3) will be prepared for installation of the second International Docking Adapter, which will serve as a home to commercial crew vehicle dockings. The pressurised interface between the station modules and the docking adapter is provided by the PMA-3. Kimbrough and Pesquet will prepare for the robotic move of PMA-3 on March 30 by disconnecting cables and electrical connections on it. They will then move the PMA-3 to the space-facing side of the Harmony module from the port side of the Tranquility module. There it will accommodate the docking adapter, which will be delivered on a future flight of a SpaceX Dragon cargo ship. The spacewalkers will also install a new computer relay box equipped with advanced software for the adapter on the starboard zero truss. The latching end effector on the Canadarm2 robotic arm will be lubricated by the two spacewalkers, who will also inspect a radiator valve suspected of a small ammonia leak. The spacewalkers will replace cameras on the Japanese segment of the outpost. The excess heat produced through normal space station operation used to shed by the radiators. Kimbrough and Whitson will reconnect cables and electrical connections on PMA-3 at its new home on top Harmony. The second of the two upgraded computer relay boxes on the station’s truss will be installed by these astronauts who will perform the second spacewalk. They will also install shields and covers on PMA-3 and the now-vacant common berthing mechanism port on Tranquility. Whitson and Pesquet will perform the third and final spacewalk and they will replace an avionics box on the starboard truss called an ExPRESS Logistics Carrier, a storage platform. The box contains electrical and command and data routing equipment for the science experiments and replacement hardware stored outside of the station. The new avionics box will be launched aboard Orbital ATK’s Cygnus cargo craft this month. This will be the 198th, 199th and 200th spacewalks in support of space station assembly and maintenance. Kimbrough’s two spacewalks will be the fifth and sixth of his career. Whitson will be making the eighth and ninth spacewalks of her career more than any other female astronaut. Pesquet will undertake the second and third spacewalks in his career.